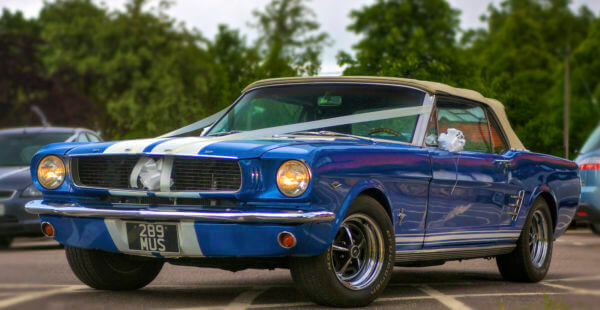 This gorgeous metallic blue 66 Convertible certainly makes a classy statement to any wedding, Ford really got the styling perfect with the ’66 convertible. 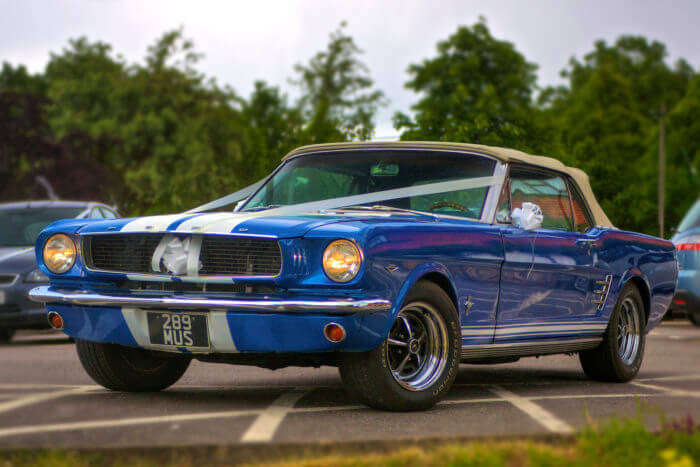 When a bride or groom arrives at a wedding in this Mustang it really is a photographers dream. 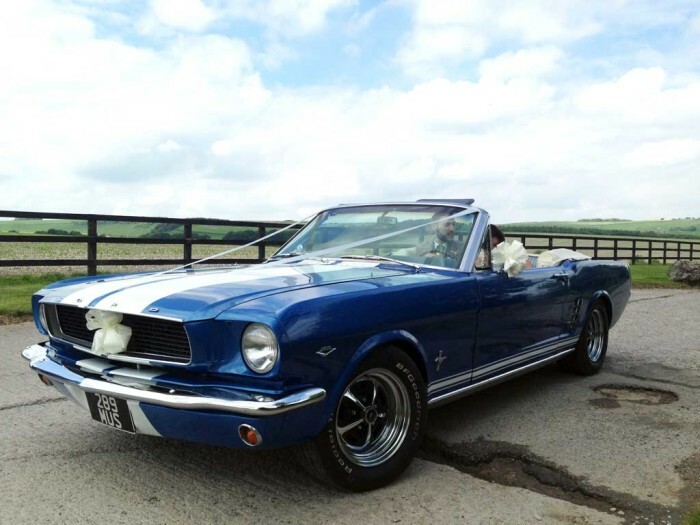 With a V8 engine and a retractable roof, the car both sounds and looks the part. 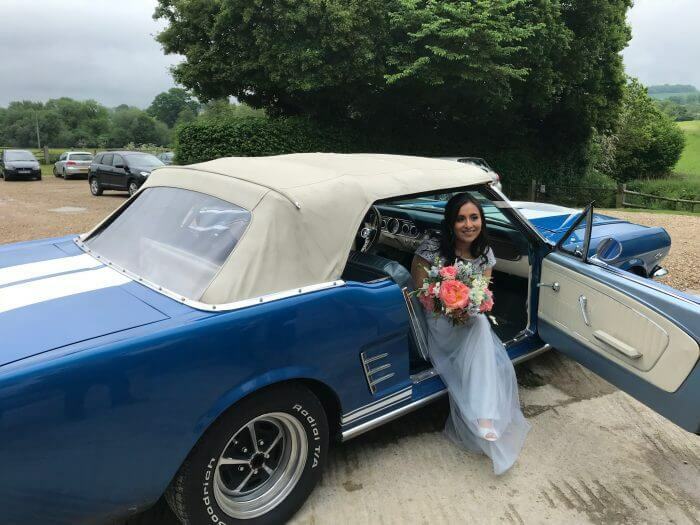 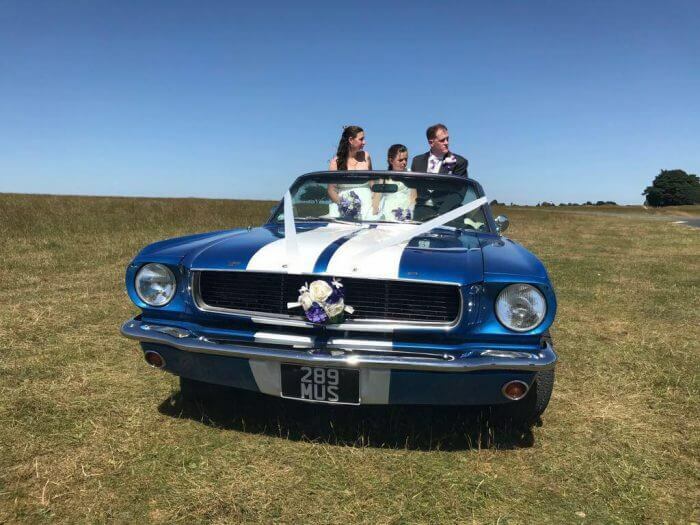 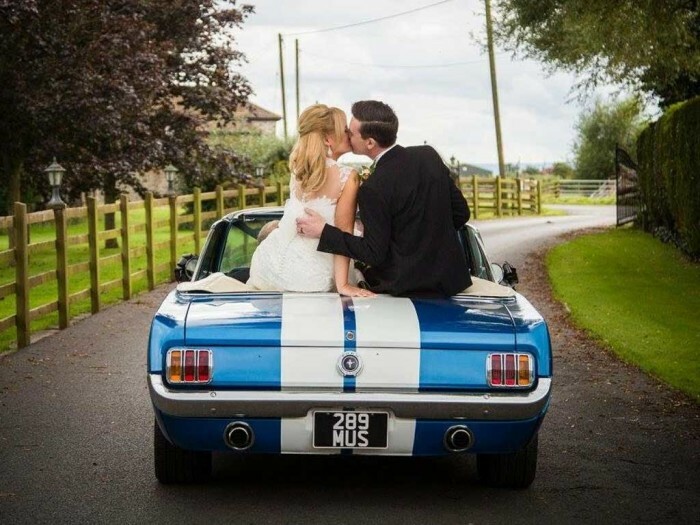 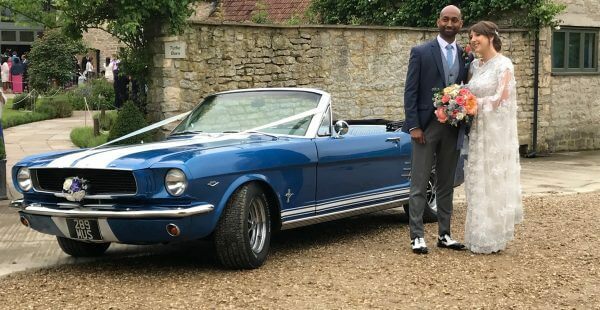 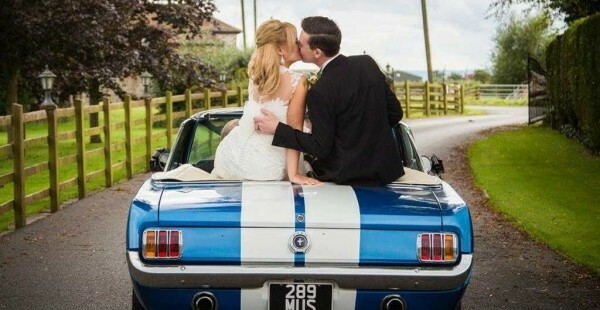 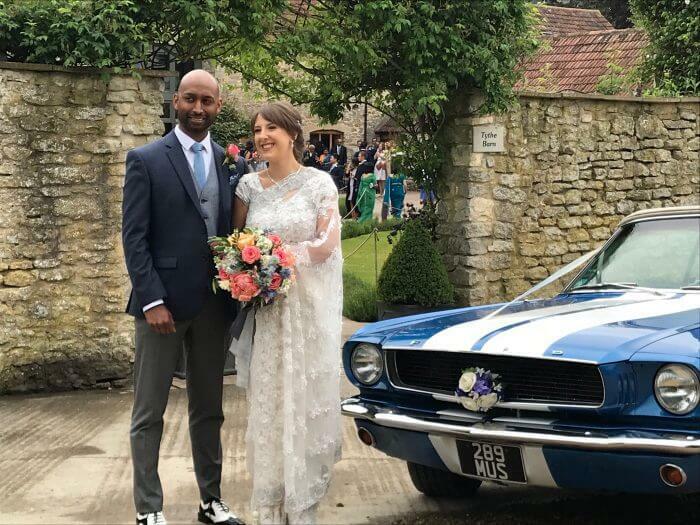 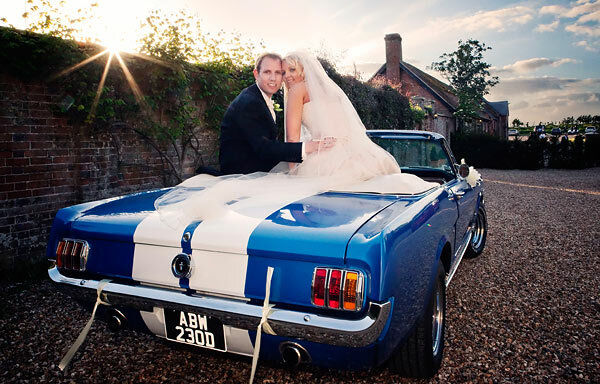 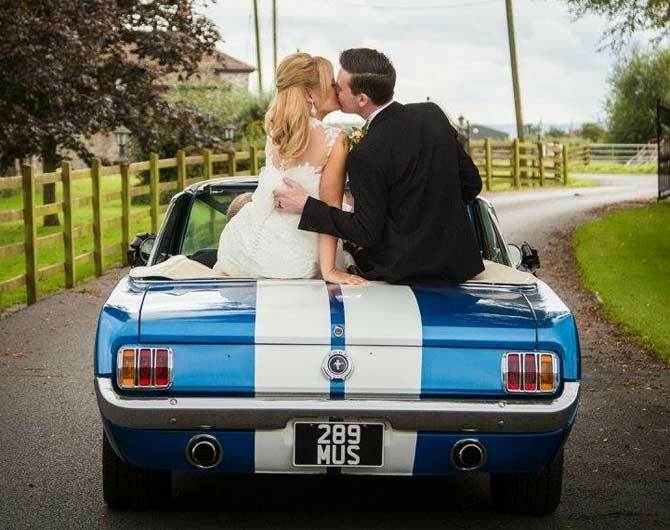 This Mustang is one of our most popular mustangs so please do enquire as early as possible to secure this car for your wedding. 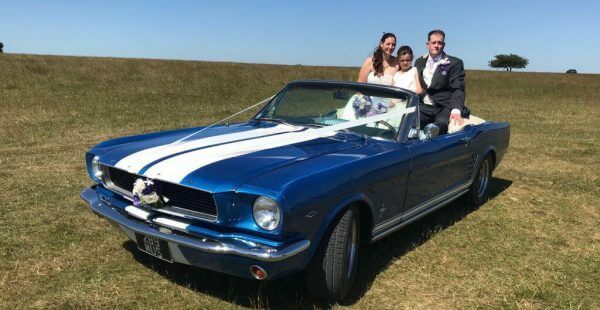 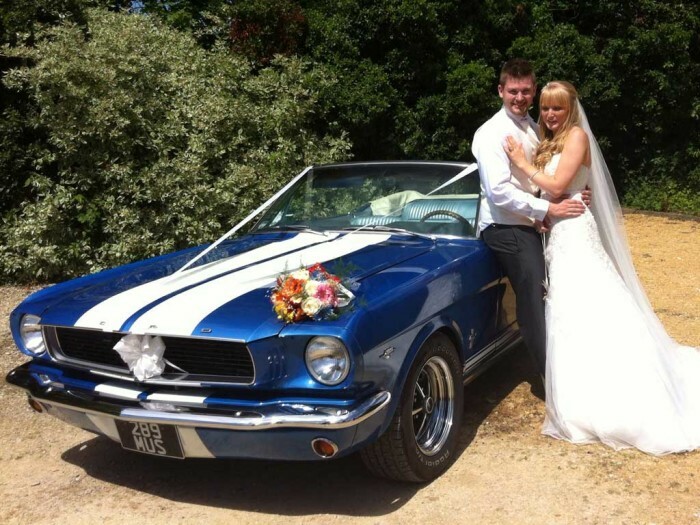 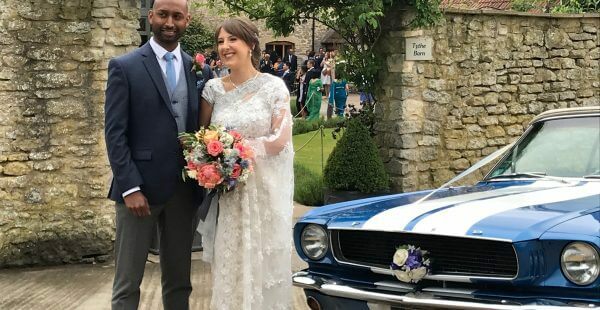 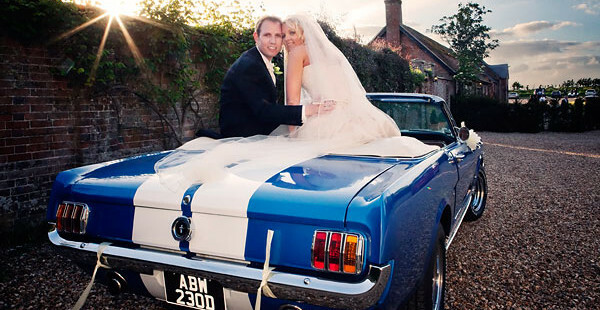 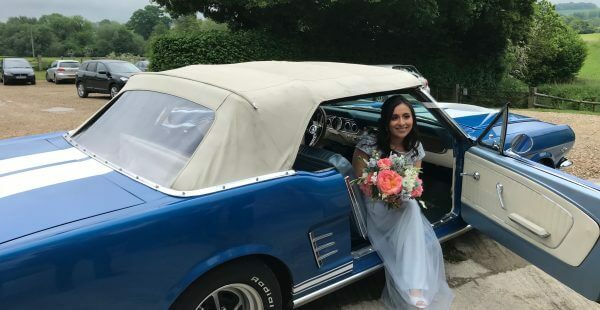 I booked a mustang through you for our wedding on 20 September this year as a surprise for my husband. 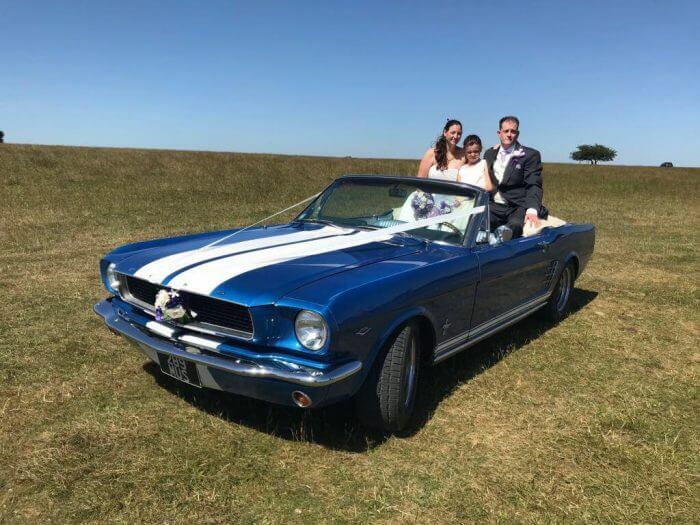 The car was absolutely beautiful and even came with black ribbon as requested, which is probably an unusual request for a wedding. 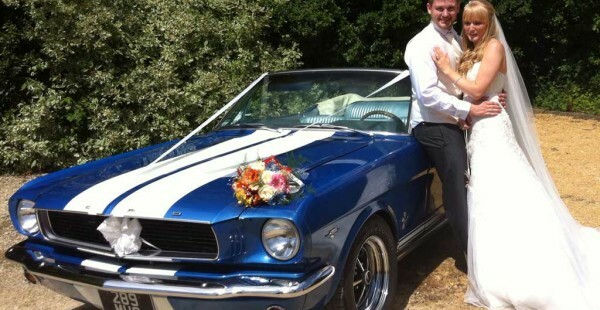 Our driver Steve was wonderful, professional and humorous. 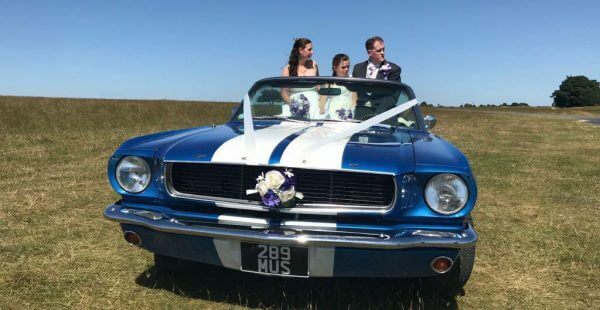 We had many lovely photographs taken and a highlight of the day was going for a drive as husband and wife in the back of the mustang convertible. 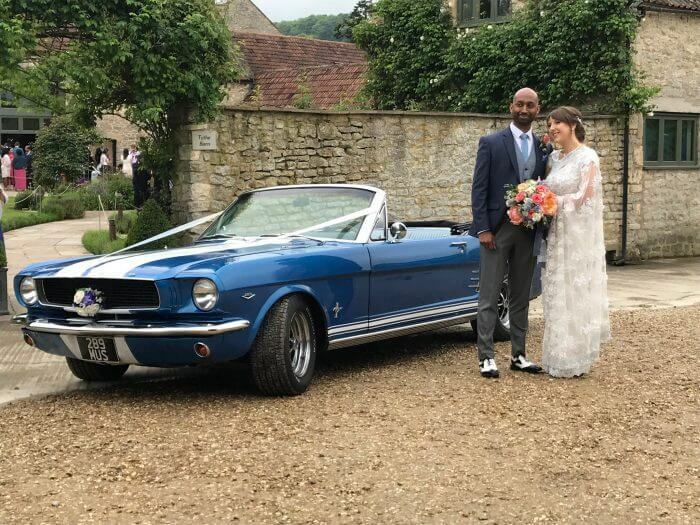 Simply fantastic. 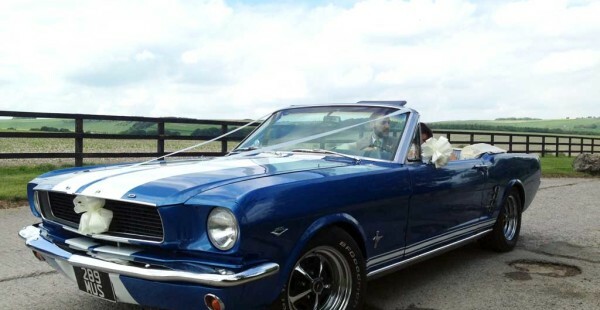 I also was pleasantly surprised at the price, which is always good when paying for a wedding!